If you are looking for advise on diving the area, for current conditions, visibility, or some of the local dive sites, then this is the site for you. 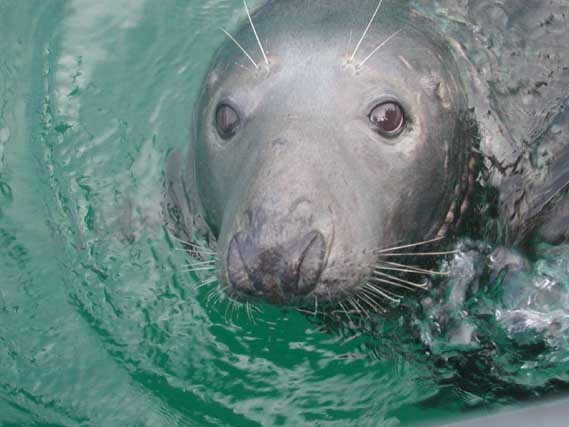 Everything you wish to know about diving in Pembrokeshire is here. Diving from our 36 foot Bullet offshore hard boat called Predator, we dive some of the best sites in Pembrokeshire offering a wide range of sites t o suit everyone. We have discovered many reef dives as well as an excellent drift dives which will take you across a rocky outcrop containing lobsters and octopus. Suitable for all levels, large or small groups. Some of our dive sites are the Lucy, Smalls, Grassholmn, Stockholmn, Skomer, North Wall, Hen & Chicks, Marie Reef, Rye Rocks, Highpoint, and Gateholmn Drift. 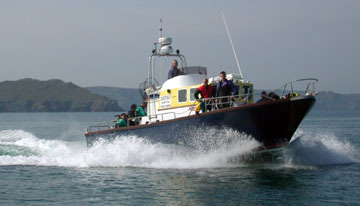 Let Dive Pembrokeshire UK look after you, your safety is our main concern. Depths range from 8 metres to 40 metres, which would be a wreck called the Lucy. Most other wrecks are within 20 metres making them ideal dives with plenty of bottom time. Most of the time we will choose slack waters for you, but delayed SMBs must be taken on all dives. You will be fully briefed on all dive sites when we get there, as to the depth, detail of the dive, direction of current, hazards and time etc. We look at the weather conditions three days before and if adverse weather is expected and we call it off, a full refund will be given.